The Steamtown National Historic Site is a railroad museum complex operated by the National Park Service in Scranton, Pennsylvania. Steamtown itself uses two former roundhouses and other various buildings (including the yard) once belonging to the Delaware, Lackawanna & Western Railroad (better known as just the Lackawanna), a one-time anthracite coal carrier in the region. While the museum does focus on telling the story of the Lackawanna it also extensively covers the history of the railroads in general and the part they have played in developing and molding our country and way of life. Aside from the static displays, locomotives, and rolling stock to see Steamtown also features train excursions, the most popular of which has to be the trip over the Lackawanna's stunning Tunkhannock Viaduct. All in all, Steamtown has become one of the premier railroad museums in the country and is very much worth the time to visit. 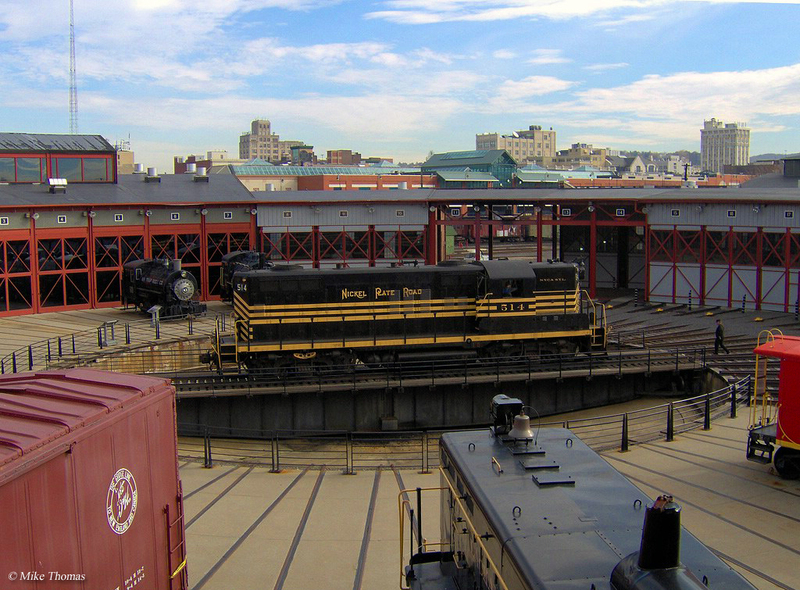 While Steamtown National Historic Site has become one of the best railroad museums in the country it is a relatively new operation in comparison to other well established private museums, like the Baltimore & Ohio Railroad Museum in Baltimore. 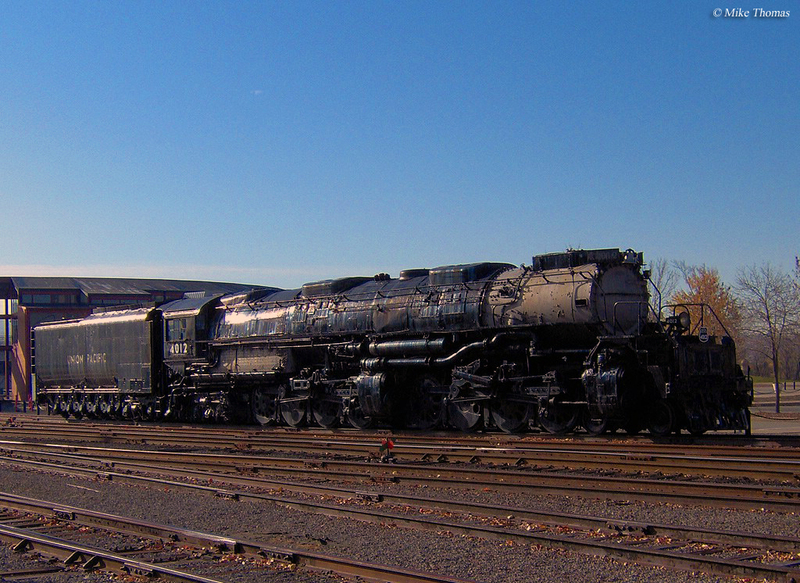 Steamtown's creation came about only in 1986 by an act of Congress and it did not open its doors to the public until 1995. In 2011 the museum turned 25 years of age and celebrated the event in October. Even though the facility has only been a popular tourist destination for less than twenty years, the idea for Steamtown actually dates back to 1964 and the shutdown of the Rutland Railroad. That year F. Nelson Blount stepped in to pick up some of the pieces of the Rutland, vying to operate the former railroad’s line between Rutland and Bellow Falls for his collection of Steamtown locomotives. After discussions with the State of Vermont and employees of the railroad it was decided to operate the entire route between Rutland and Ludlow for both freight and passenger operations. Mr. Blount originally called his collection of steam locomotives and rolling stock "Steamtown, USA" although he sadly passed away in 1967 (the ex-Rutland property he had purchased is called the Green Mountain Railroad and owned by the State of Vermont). Mr. Blount's Steamtown, USA collection eventually became part of today's Steamtown National Historic Site. 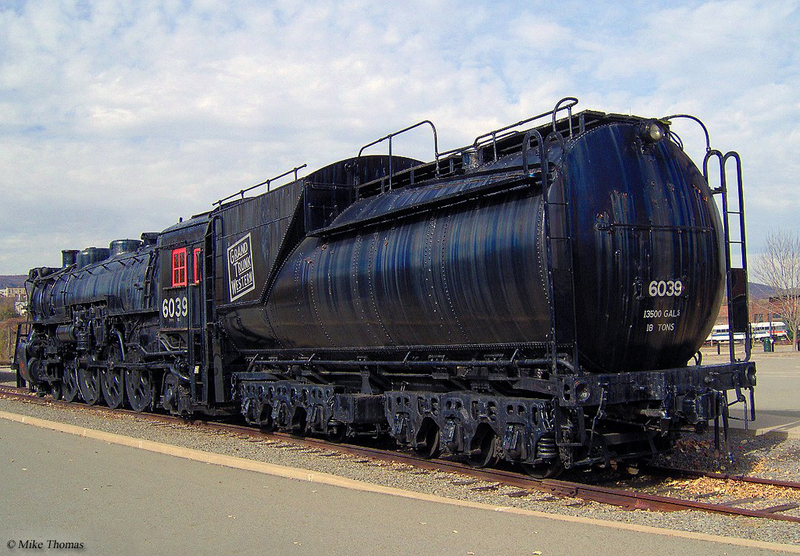 After the Steamtown National Historic Site was created in 1986 it took nearly another ten years, and $66 million worth of tax payers' money (the initial investment was only $8 million) to see the site planned, executed, and readied for the public. During that time the museum was able to amass quite a collection of rolling stock (listed below) which included pieces like Union Pacific 4-8-8-4 "Big Boy" #4012 and Canadian Pacific 4-6-4 Hudson #2816. The former DL&W grounds themselves contain some thirteen historic buildings (all of which are on the National Register), many of which date back to the 19th century. Additionally, several of the museum's most historic and best preserved pieces are placed in the restored Lackawanna roundhouse. Unfortunately, in recent years the Steamtown National Historic Site has seen a lull in visitors, as for the past several years well under 100,000 folks have passed through its doors on an annual basis (at its peak, when it opened, the museum saw well over 200,000 visitors). 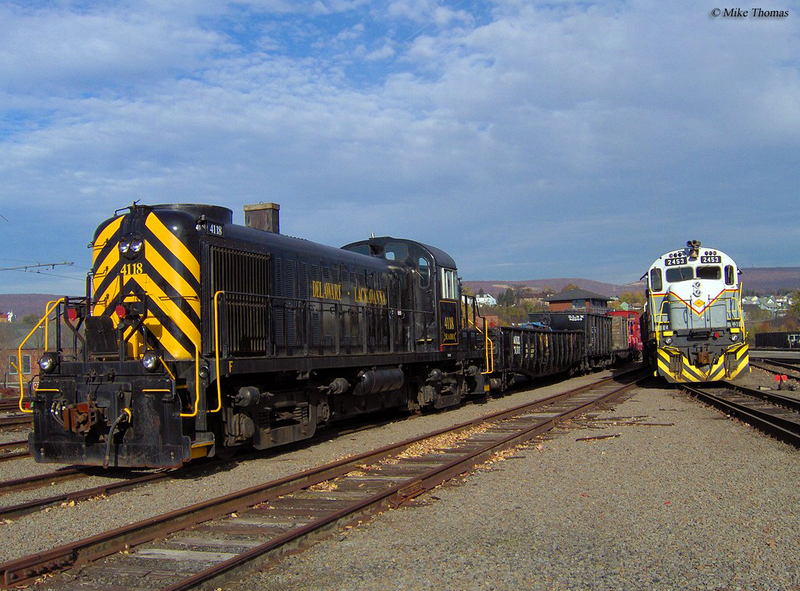 It's tough to say why this has occurred as the site has excursions pulled by historic locomotives, an annual budget over $5 million, and an operating freight line right next door (the Delaware-Lackawanna Railroad).